"Top ways Acumatica will improve your business"
Acumatica is a web-based financial and business management system that can improve the productivity of your organization. The software Acumatica runs on servers in your private network or hosted on the Internet so it can be used from anywhere. Acumatica is designed to be used by any size company- from small companies with specialized requirements through large companies with multiple entities. 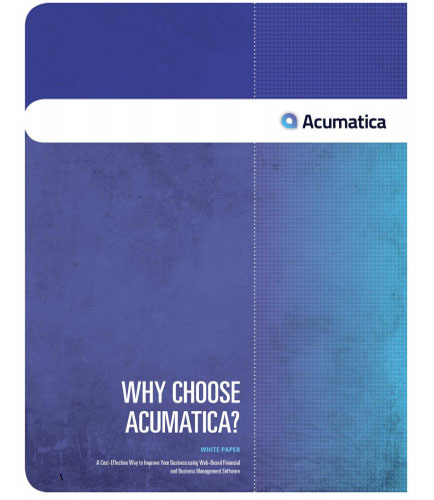 This whitepaper on Acumatica brings you a cost-effective way to improve your business using web-based financial and business management software.